Photo Cacophony announces Fall Minis! One day only! 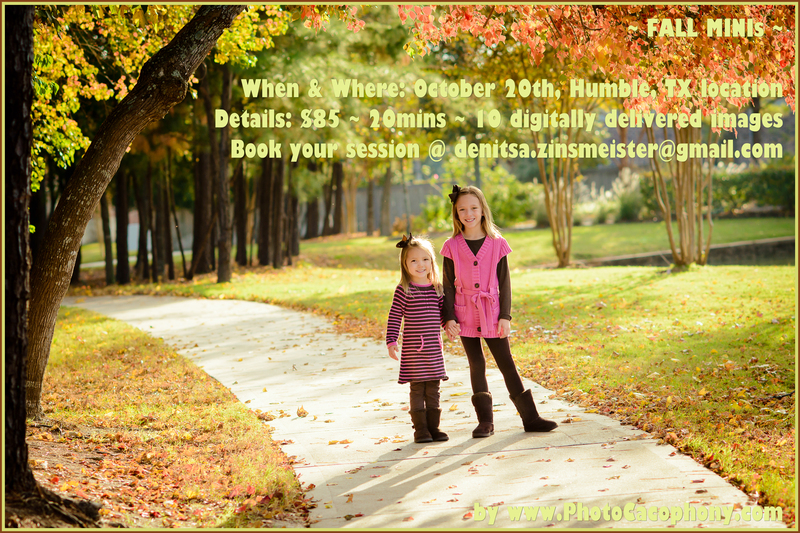 Please message me at http://www.Facebook.com/PhotoCacophony or email me at Denitsa.Zinsmeister@gmail.com to reserve your spot!